The company confirmed the order today. UPS’ order tops Tesla’s previous record order of 100 electric trucks from Pepsico just over a week ago. They expect to be among the first fleet operators to take delivery of the new electric truck in 2019. The effort is part of UPS’ goal that one in four new vehicles purchased annually will be an alternative fuel or advanced technology vehicle by 2020. The logistics giant has several other electric vehicle efforts, like converting ‘up to 1,500 delivery trucks’ to battery-electric in New York and it already bought some of Daimler’s new electric trucks. While this is Tesla Semi’s biggest order yet, it’s a small fleet update for UPS, which is one of the biggest fleet operators with 108,000 delivery vehicles around the world. At the unveiling event last month, Tesla unveiled two electric truck options with 300 and 500 miles of range. 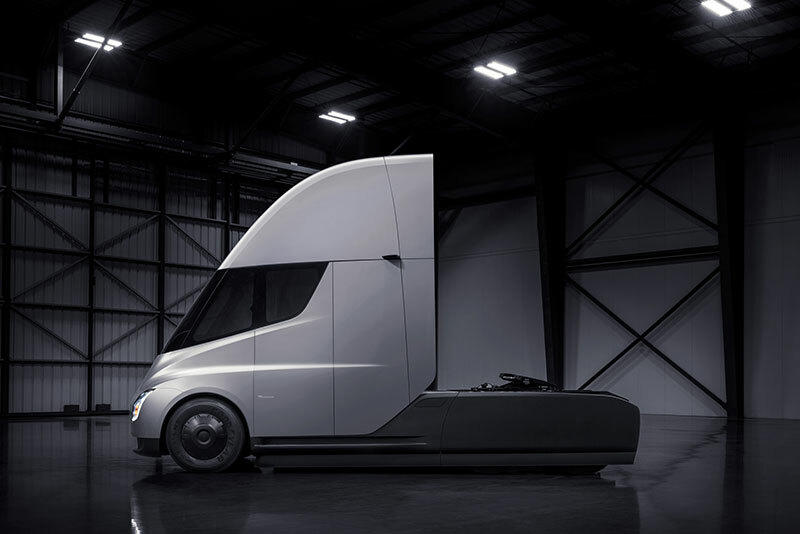 After Tesla revealed the pricing of its electric semi trucks last month, we learned that the regular production versions for the 300-mile and 500-mile range versions will be $150,000 and $180,000 respectively, while the company is also listing a ‘Founders Series’ version for $200,000. This means that UPS’ order alone is worth between $18 million and $25 million. Tesla first started taking reservations with a $5,000 deposit per truck, but has changed the listed deposit price last month to $20,000 for a “base reservation” of the production version and the full $200,000 for the “Founders Series” truck. If UPS just now placed the order, they likely had to place a $2.5 million deposit. As we have been suggesting with all the recent pre-orders a whole month after the event, it looks like there’s a snowball effect going on with Tesla Semi. The tally of confirmed reservations is now just over 400 trucks, but that’s just from companies having publicly announced their Tesla Semi pre-orders. We think that smaller fleet operators and other companies have also quietly placed orders. Either way, it’s clear that the demand is currently strong for the truck and possibly even getting stronger a month after the unveiling event.